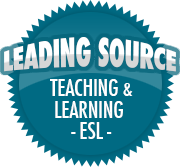 Pictures | So, You Think You Can Teach ESL? I know it’s been quite a while since my last post. Work has been keeping me busy with training new teachers, adjusting to new students and classes, and the lack of energy to write after a long day’s work. It gets quite stressful and we can all use a little motivation. Here are two inspirational/motivational posters I’d love to share. Both quotes have some great points to think about. May they help you throughout your week! Keep fighting!